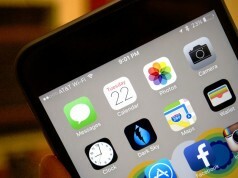 Today, Apple released iOS 9.2 beta 2 to developers and public beta testers for testing. iOS 9.2 beta 1 was first released just one week ago and iOS 9.1 back on October 21st. It seems like Apple is really trying to get iOS 9.2 out considering how quickly they’re releasing the betas to get tested. Those who are part of the company’s beta testing program will receive the second iOS 9.2 update via over-the-air. iOS 9.2 includes several bug fixes and enhancements related to Safari View Controller, the new Safari window that opens up when you click on a link in some apps, including the ability to dismiss it with an edge swipe. Third-party Action Extensions will also work with the Safari View Controller. New version also includes iCloud Keychain, audio quality, Apple Watch syncing and pairing bug fixes. In addition AT&T’s NumberSync and Wi-Fi Calling will be also be included in iOS 9.2. NumberSync feature allows other devices like Mac or iPad to make and receive calls using a customer’s iPhone number without being connected to the iPhone. Wi-Fi Calling feature allows users to make calls over a Wi-Fi connection if their cellular connection is not strong enough. It works similar to AT&T’s M-Cell, or in the same way as Apple’s FaceTime Audio, which routes to a Wi-Fi Connection when available. Once that’s done, and you’ve gone through the on-screen instructions, you’ll see that the service has been activated. If you’re in front of your Mac (which you should be), you’ll see a pop-up from FaceTime that says the feature is now available. Click on that banner or open up FaceTime directly and you’ll see a prompt that asks you if you want to turn on Wi-Fi Calling for your Mac. Once that’s done, you’ll get a code you’ll need to enter on your iPhone. 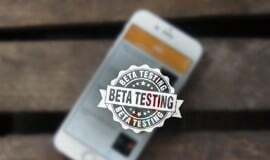 Those who are interested in testing out betas and partaking in Apple’s beta testing program can sign up through the beta testing website. You will then have access to OS X and iOS betas. [icon name=”arrow-circle-down” class=”” unprefixed_class=””]Download iOS 9.2 beta 2 ipsw from Imzdl.